We see quite a few patients that are bothered for one reason or another about spider veins on their legs. The good news is that treating spider veins can be fairly simple, and it only requires a few injections. Sclerotherapy is the treatment of choice for small veins that are one to four millimeters in diameter. These veins may look like flat red or blue vessels that may or may not bulge above the skin's surface. The treatment involves injecting the unwanted veins with a specialized solution, such as polidoconal or soltradecol, which causes the veins to collapse. The collapsed veins are reabsorbed into the body, leaving only minor scarring behind. Spider veins can be caused by hormonal changes, pregnancy, weight gain, prolonged sitting or standing, and as a result of certain medications. Spider veins are also known as telangiectasias and are not necessary for normal body functioning and blood flow. Sclerotherapy is used to treat these small spider veins found on the thighs, calves and ankles. Sclerotherapy is a fairly quick microinjection procedure that does not require any pain medication or anesthesia. Abnormal veins are treated by injecting a solution called a sclerosant, sealing the vein off from the rest of the vein network in your leg, allowing the body to naturally redirect the blood flow to healthy veins. During the treatment, the area is cleansed and then a bright light is directed at the vein as the nurse injects a sclerosing agent through a very fine needle into the vein to collapse it. The number of veins injected in one session is variable, depending on the size and location of the vessel, and the patient’s overall medical condition. Each vein requires an injection. Once collapsed, the vein may become bruised or lumpy. As the body heals, this will disappear and the vessel will no longer be visible. Fading of the vessels is a slow process which may take up to 6 – 12 months. This treatment does not prevent new telangiectasias from developing that may later need to be treated. It usually takes one to three injections to obliterate any one vessel. Although the same vessel will not be treated within the same month, different areas may be treated every 1-2 weeks. 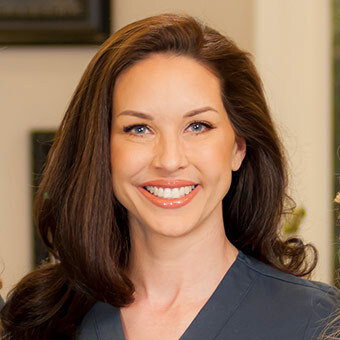 At Dr. Dana Goldberg's office the nurse performs visual sclerotherapy, which refers to injection of surface and medium veins that are visible to the naked eye. You will have an initial consultation with the nurse to evaluate the desired veins to be treated, and to assess your medical history to determine if you are a candidate for sclerotherapy. You are not eligible for sclerotherapy if you are pregnant, breastfeeding, or are bedridden. You must wait at least 3 months after delivery before you can be considered for this procedure. Medications such as aspirin, fish oil, and NSAIDS need to be stopped for a minimum of 7-10 days before treatment can be performed. If you are a good candidate for sclerotherapy, you will be directed to avoid shaving, moisturizers, sunscreen or other oils on the day of the treatment. You will also be instructed to purchase compression stockings which are to be worn for 72 hours after treatment. You will receive before and after instructions which include the importance of walking and avoiding strenuous exercise, the sun, hot tubs, saunas, and hot baths during treatment. Both men and women can benefit from spider vein treatment, and the average age ranges from 13 to 60. If you’re embarrassed by the appearance of any of the thin, spider web-like or lengthy single veins on your thighs, ankles or calves, you may be a suitable candidate for this procedure. Not only can this treatment provide aesthetic relief, but it also reduces the burning, swelling and aching associated with spider veins as well. Unfortunately, not everyone is a candidate for spider vein treatment. If you’re suffering with high blood pressure, diabetes, varicose veins, any blood-borne, infectious or cardiac diseases, or if you’re pregnant or nursing, you may not be suitable to have this procedure. What Kind of Post-Operative Spider Vein Treatment Care Can I Expect? Following the procedure, we will help you apply your compression stockings, which will reduce the chance of bruising, swelling and discoloration of the treated area, and then you will also be asked to walk for a minimum of 20 minutes. You will also be expected to walk for 20 minutes three times a day for 3 days after treatment. You will also be expected to wear the compression stockings for 72 hours after treatment. The compression stockings and walking are the most important part of care after treatment because they are necessary for blood flow to help compress and collapse the veins. It is necessary to avoid prolonged periods of standing or sitting as this could cause blood clots. The most common side effects of spider vein treatment are slight cramping and itching, but other than that, there is very little down time. You’ll be able to return to work immediately, but you will be advised you to avoid sun exposure, strenuous exercise and hot water (such as a bath, whirlpool, sauna, etc.) for a 3 days. One less common side effect is the chance of trapped blood forming in one of the veins. This is not harmful, but it can cause some discomfort at the site. If this occurs, the nurse will use an injection of a numbing solution and then extract the blood that has become trapped. This occurs when the vein collapses and the body cannot absorb the blood and therefore it requires extraction. How can I find out if I am a candidate and get pricing and treatment options for Sclerotherapy? Here at Dr. Dana Goldberg's office, we are perform visual spider vein treatment, as well as a host of other cosmetic procedures. If you’re interested in this procedure but and want to discuss spider vein treatment costs before making your decision, call us today to set up your personal consultation. Our friendly staff members are on hand to guide you in the right direction.